Happy Easter everyone! I hope you’re all having a fabulous Sunday morning and that the Easter bunny was super kind to you. I’m rather happy to be tucking into an absurd amount of mini eggs this morning – whilst still in my pajamas of course. Lucky me! As it’s Easter, and that’s a LOT to do with family and chocolate – at least if you’re not religious and me, I thought I’d share a chocolatey recipe that is one of our family’s favourites – the humble peanut butter brownie. I made these yesterday for a barbecue and surprise surprise we’ve got only a couple left – they’re that good. We’ve mentioned these in the past but never shared our slightly amended version of the Life is Peachy recipe. So we thought it was high time we did – enjoy this Easter gift! Easter is quite possibly my favourite time of the year as it seems to signal the start of the summer and outside dining. I love the opportunity to get together with all the family and chill out in the garden, plus it brings with it the possibility of a barbecue as well as a fabulous roast dinner on Easter Sunday. Never mind the easter egg fun. This Easter my sisters and I have decided to cook out amazing pulled pork at some point over the four days for the parental units to enjoy. Plus I’m planning on trying out a coffee and walnut cake as I’ve never made one. 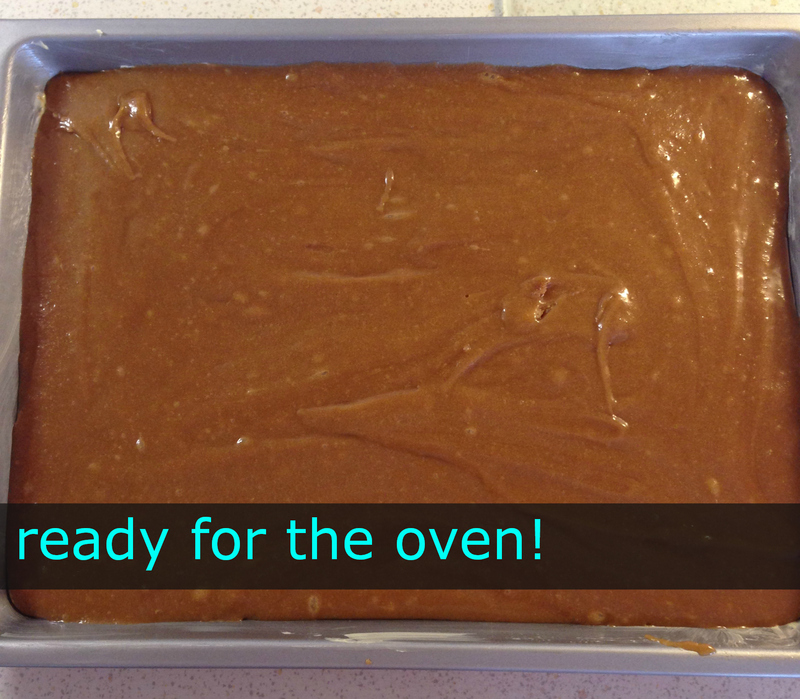 But before that point we get to make all the yummy sweet stuff that contains easter treats. You know what I mean, all the creme eggs and mini eggs that appear in the shops as soon as Christmas is over. Well it would be rude not to include those in some sort of baking wouldn’t it. 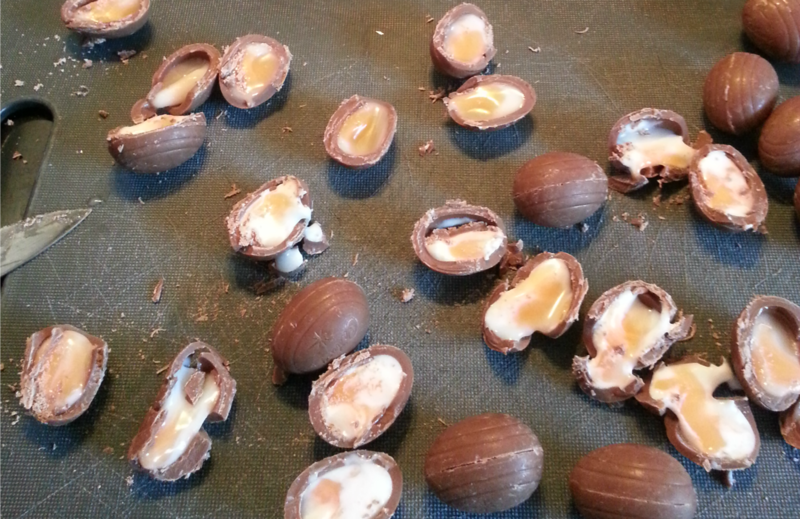 So that’s what this post is all about – Baking with Easter sweets! Hopefully you are all well aware of the awesome mini egg blondies that we made last year. If not then what are you waiting for? Check them out right here, right now. So these have been made again because they are just totally awesome and Fi has an actual real life obsession with mini eggs. 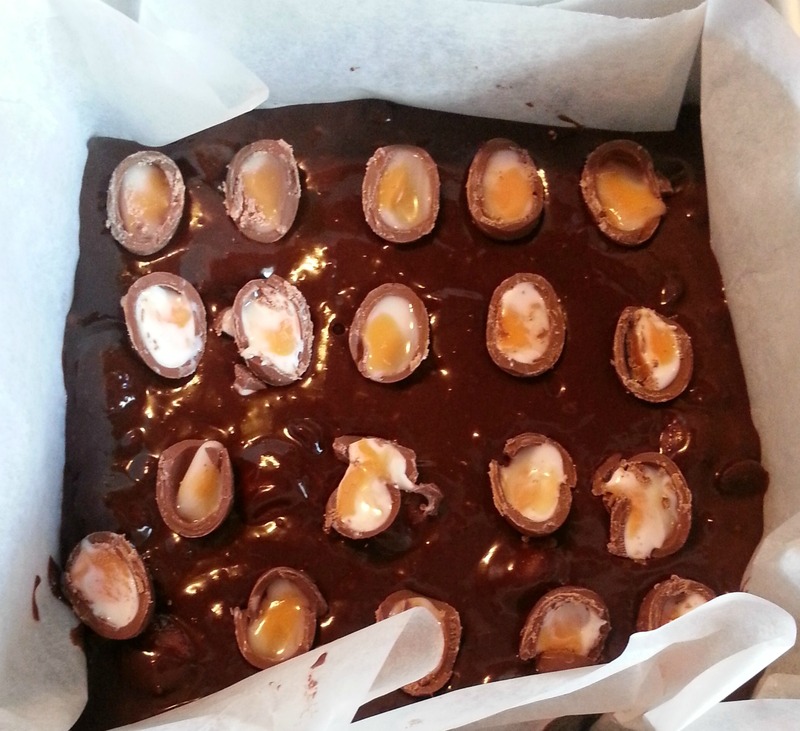 So yes, we made mini egg blondies, but we also decided to try making creme egg brownies. Now different versions of these have been all over the internet and on twitter, so it really was high time we had a go ourselves. 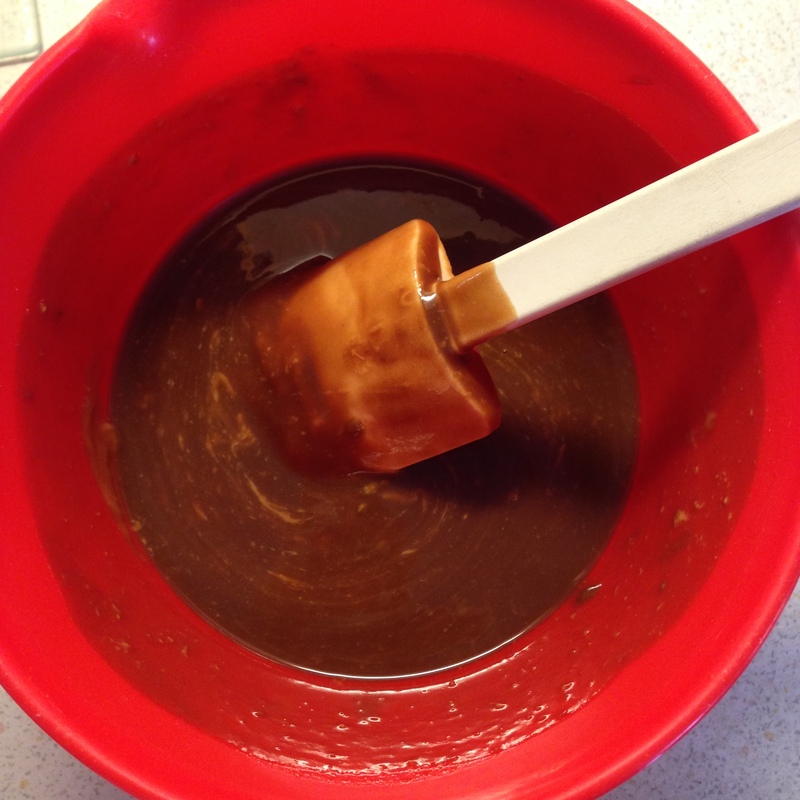 They honestly couldn’t be easier – mostly because I used a packet brownie mix – sometimes you just have to cheat! 1. 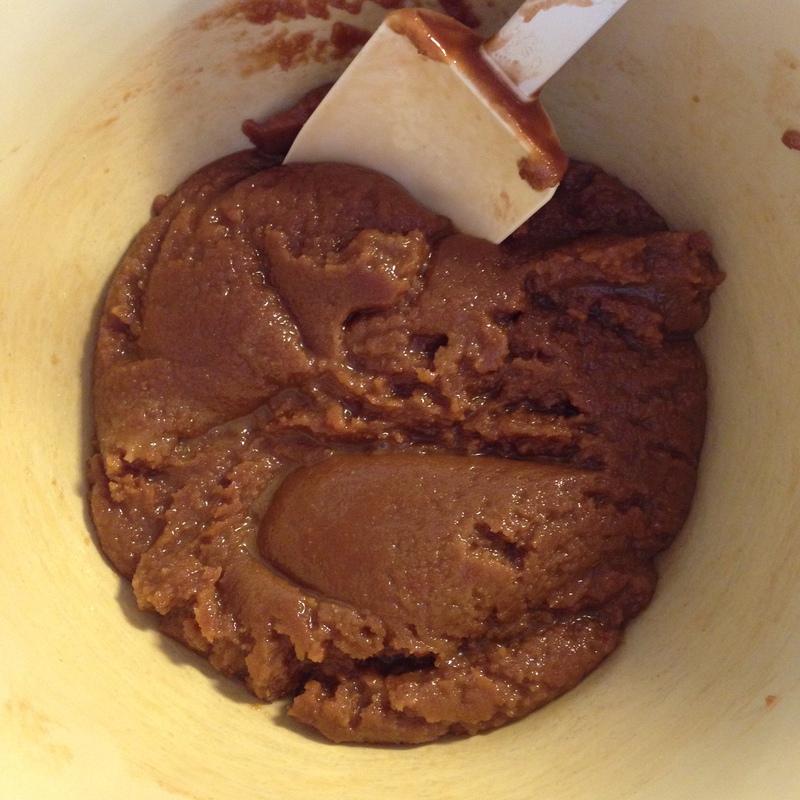 Create your normal brownie batter – I used the Ghiardelli brownie mix because it’s totally awesome. 2. 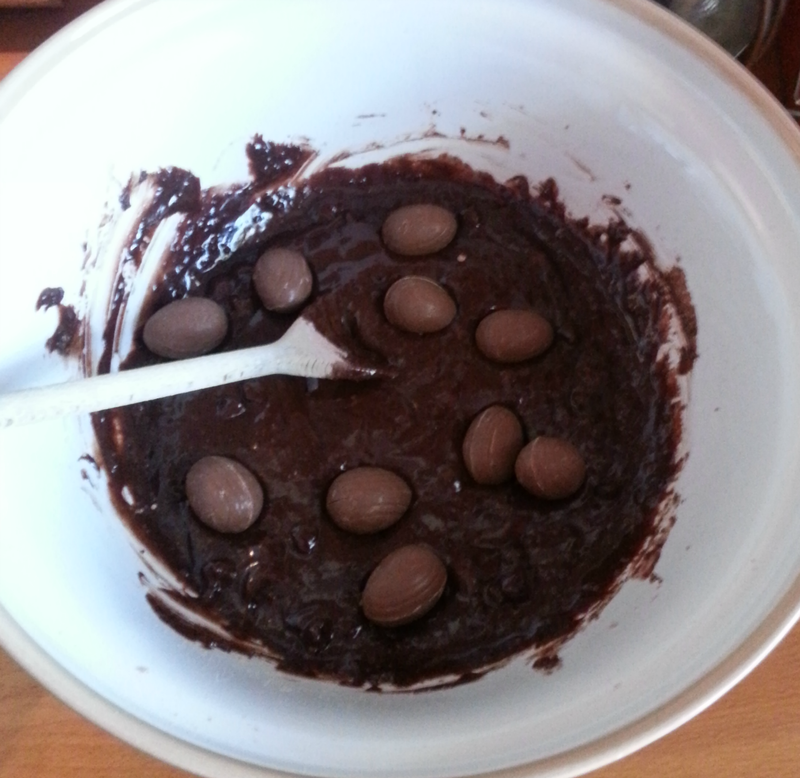 Throw in 10 mini creme eggs to the mix. 3. 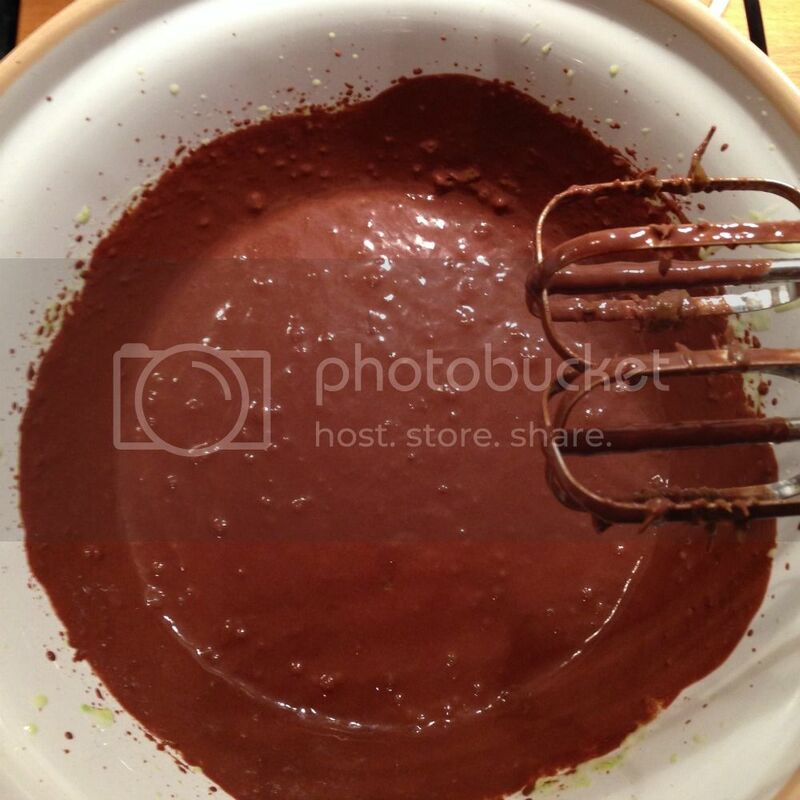 Pour the whole lot into the brownie tin. 4. 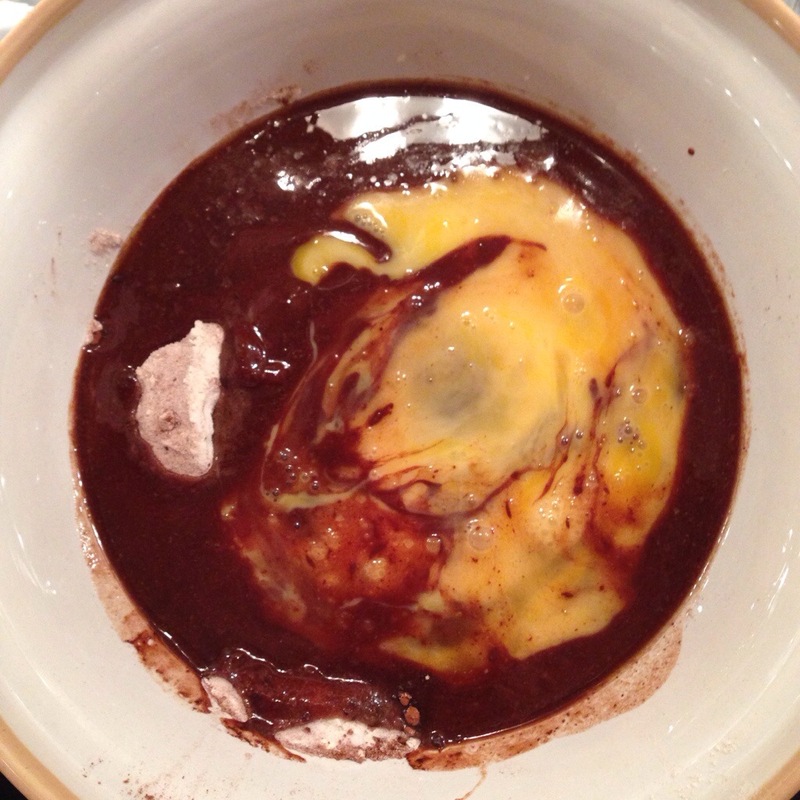 Chop another 8 mini creme eggs in half and lay these gooey side up on the top of your batter. 5. Bake as per normal brownie instructions. See, easy peasy and don’t they look amazing? I promise you guys, these actually taste like heaven. Seriously the gooey levels are epic in this. These beauties ended up at work and they all disappeared in record time. I think that’s a good sign, right?! Now you give them ago and let me know what you think. Oh brownie goodness how we love you! So it’s really not a surprise about how much we love brownies on this here blog. I mean we write about making them pretty much all the time! Today’s post is actually a bit of a brownie update as Fi and I realised the other day that we had made two new types of brownies and we hadn’t shared them with you lovely lot – a total travesty I think you’ll agree! 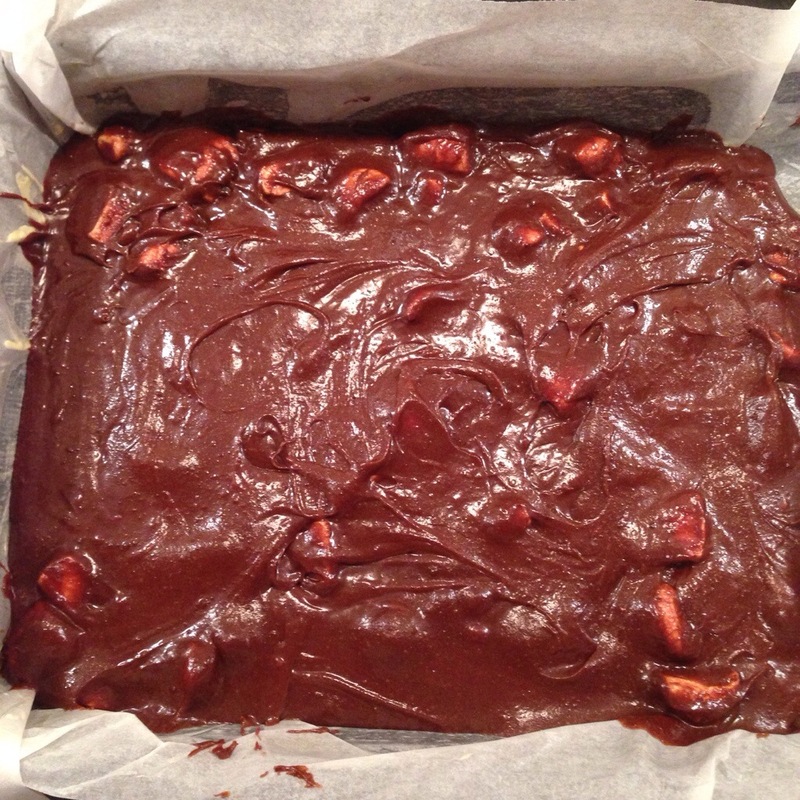 But don’t worry I am rectifying that monumental error right now with both of those lovely brownie treats in one post. You’re all feeling very spoilt right now aren’t you? First up we have bourbon biscuit brownies. Yes you read that right I really do mean brownies that include a layer of the best sandwich biscuits in the world. I made these a while back and wrote about them over on my own blog (here), but somehow forgot to share them with you all as well. It was only when we made these for a second time on a sister’s weekend in Buxton that we realised that we hadn’t shared them. I am so terribly sorry, what in the world was I thinking? So let’s rectify that right now. In this bake I used a packet brownie mix, the reason being that the Ghirardelli brownie mix you can get from Costco tastes so good that there’s really no need to waste your time making your own. 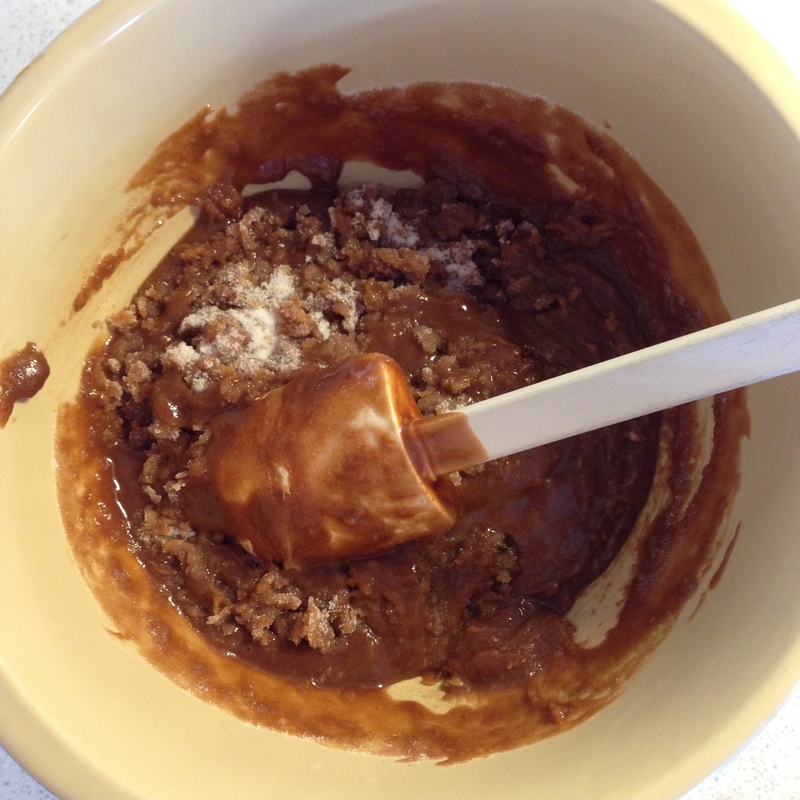 Next pour half of the mix into your greased and lined tin. 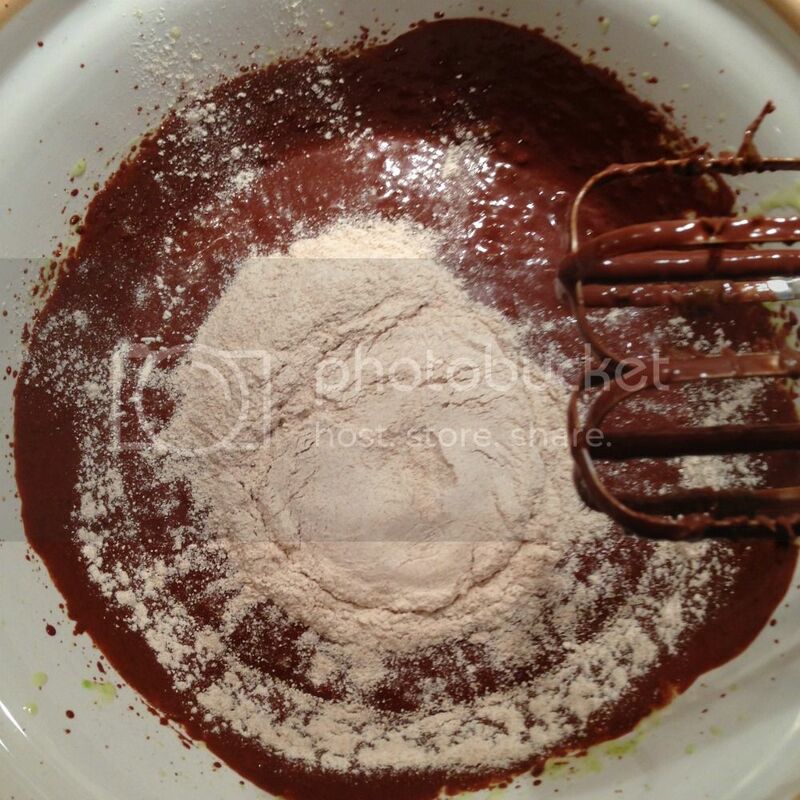 Lay the biscuits onto the mix before topping with the rest of the brownie mixture. Bake in the oven as per the brownie cooking instruction. The second batch of brownies that you’ve missed are these peanut butter creations from Life is Peachy which are just to die for. If you’re a fan of all things chocolate and peanut butter then you must make them. Obviously we ate these too quickly as there are no pictures to be found anywhere! So here’s the thing, I happen to have an obsession with brownies, an unhealthy obsession to them if I’m honest. Whenever I spot them in a cafe it’s almost impossible to not have one and I’ve baked so many different variations – let’s see there was the scrumptious plain chocolate ones, raspberry and biscuit ones, some featuring butternut squash, ones with mint and then there were the Oreo ones and the marshmallow ones, basically anytime I see an interesting recipe for brownies I have to give them a whirl. This obsession is not always great because of course gooey, chocolate brownies are not altogether good for you now are they? Plus how can anyone have just one homemade brownie? It’s basically an impossibility, well for me anyway. If you can do, then yay to you. I would be jealous but you know I’m too busy eating my fourth brownie of the day! Anyway recently I discovered a recipe on the wondrous Pinterest for brownies that were healthy and only 27 calories a pop! Amazing right? I mean imagine the guilt free brownie scoffing that could ensue at just 27 calories a brownie?!?! It’s my ultimate dream! What makes them healthy I hear you say? 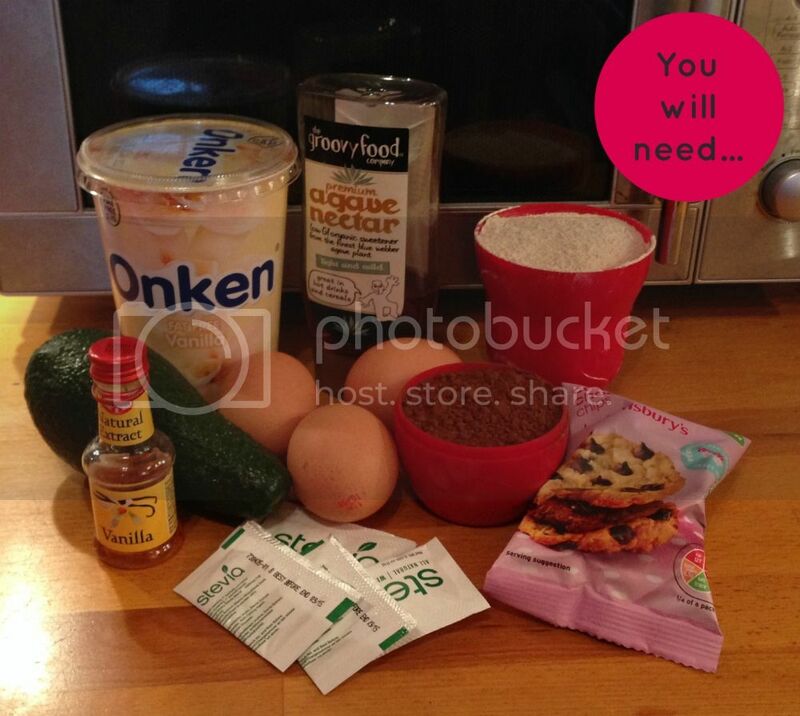 Well you replace the butter and sugar with other ingredients, namely yogurt, Stevia and avocado. Yes avocado – don’t worry you don’t get the flavour of the avocado it’s purely for texture. Let’s be honest that would be a bit weird wouldn’t it? Needless to say I had to make them straightaway (or at least once I found all the ingredients, Stevia is not that easy to find FYI). My only issue with these brownies? Well there not really brownies. They’re more cakey than that and quite solid – there’s none of the gooey middle you get (and want) in a brownie in these. Don’t get me wrong they are nice, once heated in the microwave and covered in custard, but they’re not really brownies – at least not in my book. You should definitely make them, but treat them like a healthy cake and you’ll be much happier! So here’s the recipe, which of course you can find over on the awesome blog Undressed Skeleton, which is chocked full of awesome looking food! Beat the avocado, eggs and yogurt until there are no avocado lumps, next add the vanilla extract and Stevia and beat until fully combined. 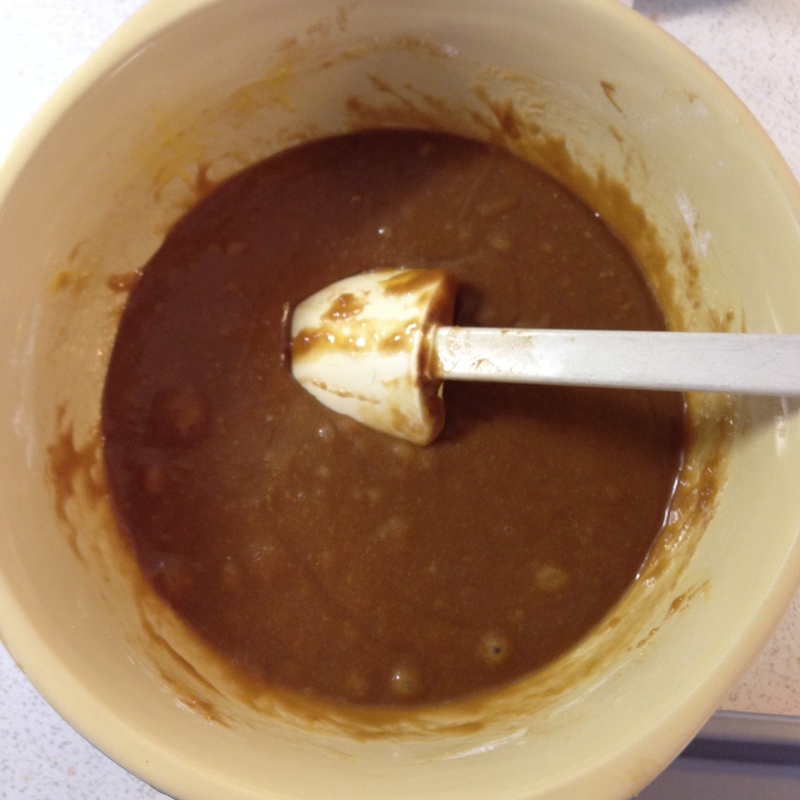 In a different bowl combine the water and cocoa together to form a paste (I needed to add a bit more water to get the right consistency). 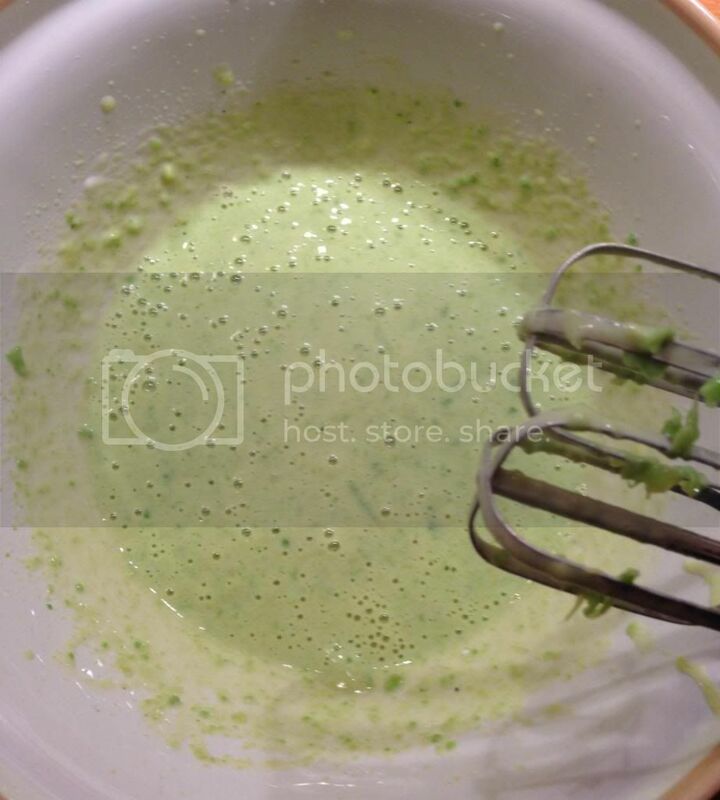 Then add to the avocado mixture and mix well. 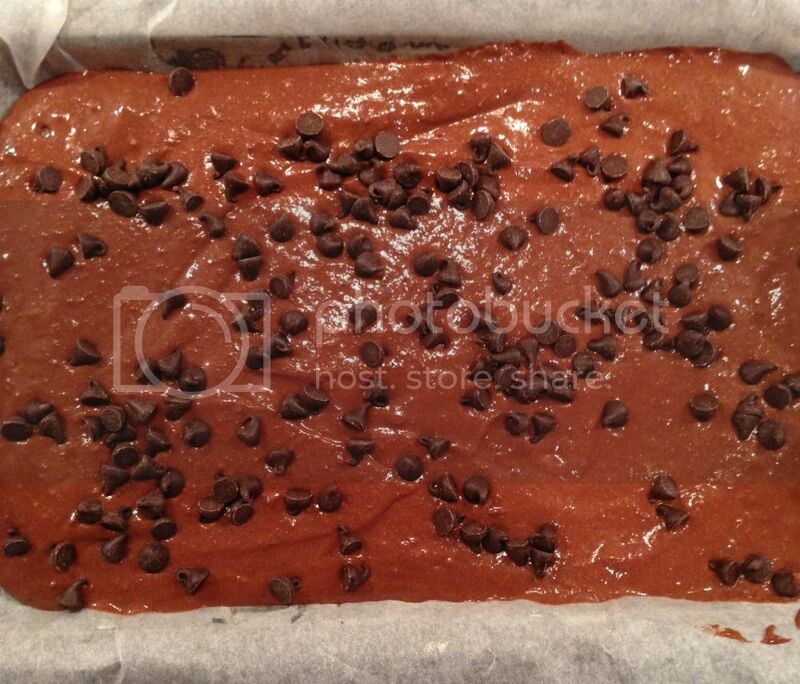 Sprinkle with chocolate chips and cook on 180 degrees for 20 minutes. Originally posted on The Adventures of Fi on 20th January 2014. So as Lau mentioned in her last post, we’ve sort of changed the rules of the challenge, so now it’s five ingredients and not £5. As let’s be honest sometimes you want to treat yourself which you can’t always do for just £5. 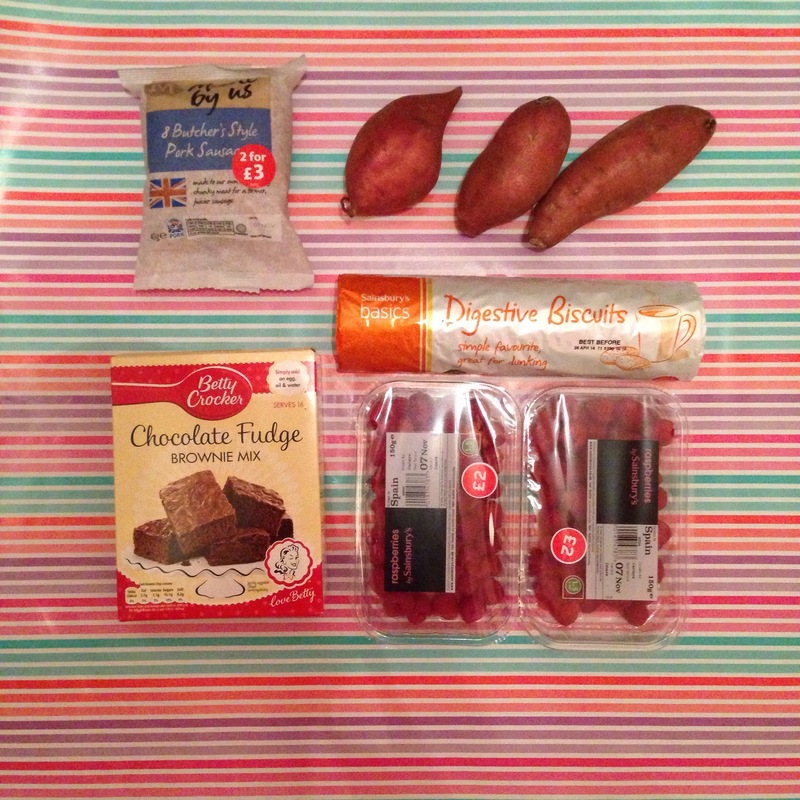 The ingredients Lau picked for me were a pack of sausages, lots of raspberries, brownie mix, sweet potatoes and digestive biscuits. 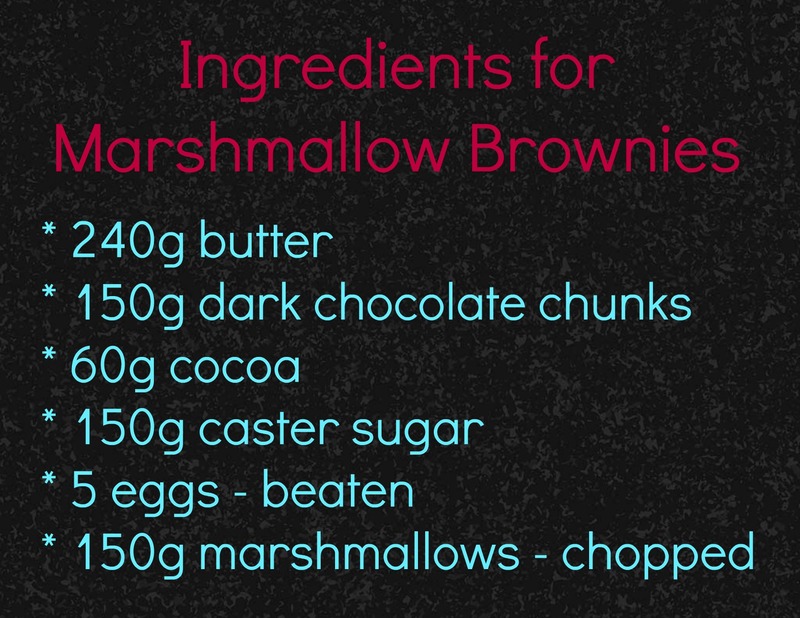 As you can see from the ingredients, someone fancied brownies! As for what I made, I went for a classic autumn recipe with the sausages and made a toad in the hole, which was out-of-this-world in its deliciousness. It was so good that I now want it every single week, there’s just something about the crunchy top of the Yorkshire pudding and the squishy doughy inside – scrumptious pairing if you ask me. 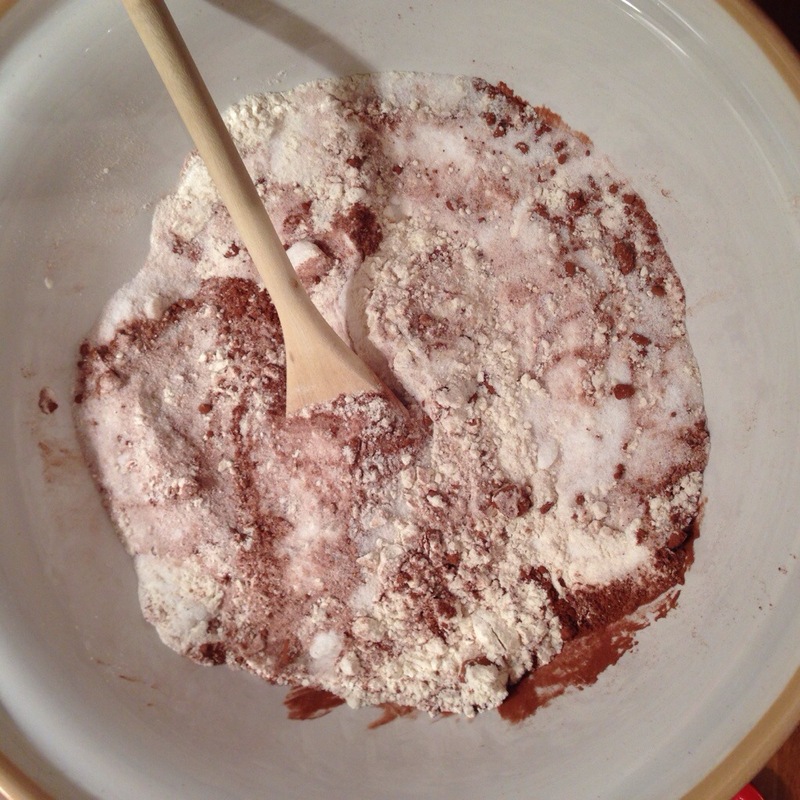 Combine two eggs and 140g plain flour to form a smooth paste. Then add in 175ml of milk a bit at a time, stirring continuously. If you’re like me you’ll forget to take pictures of the finished article, whoops! It was just too good I couldn’t help it! I served out toad in the hole with ketchup and sweet potato fries, see here for the recipe we used. An interesting combination I agree, but delicious nonetheless! So there you have it, an amazingly delicious ready steady cook meal, what do you think, did I do good? So full marks all round from me. Both of the dishes that Fi cooked were completely delicious, used all the ingredients well and had clever thinking so I couldn’t mark any other way! 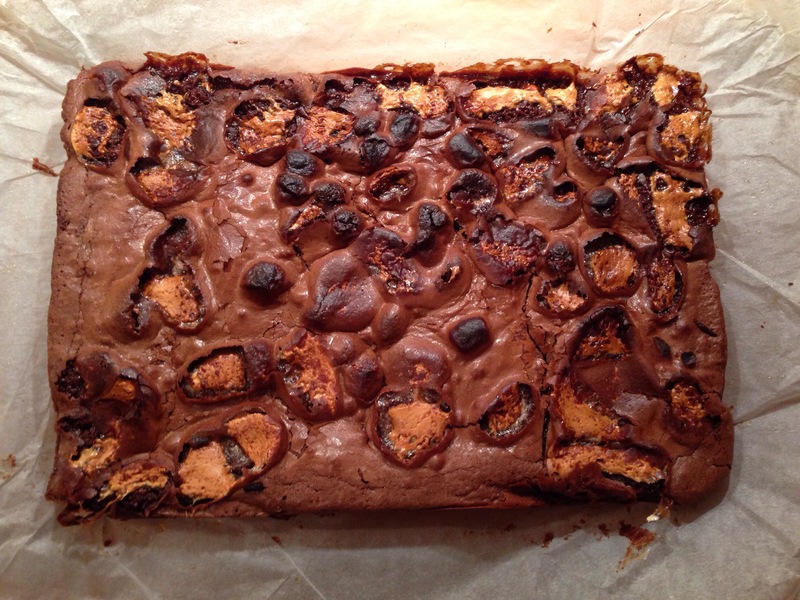 In our October foody update I mentioned the fact that I’d recently made marshmallow brownies, so I thought it was high time I actually shared te recipe with you. You’re welcome! The recipe is one I’d pinned to my Sweet Eats board twice, yes really twice, in the past and seemed like a logical recipe to try as after all I do seem to have a bit of an obsession with brownies. Don’t believe me? 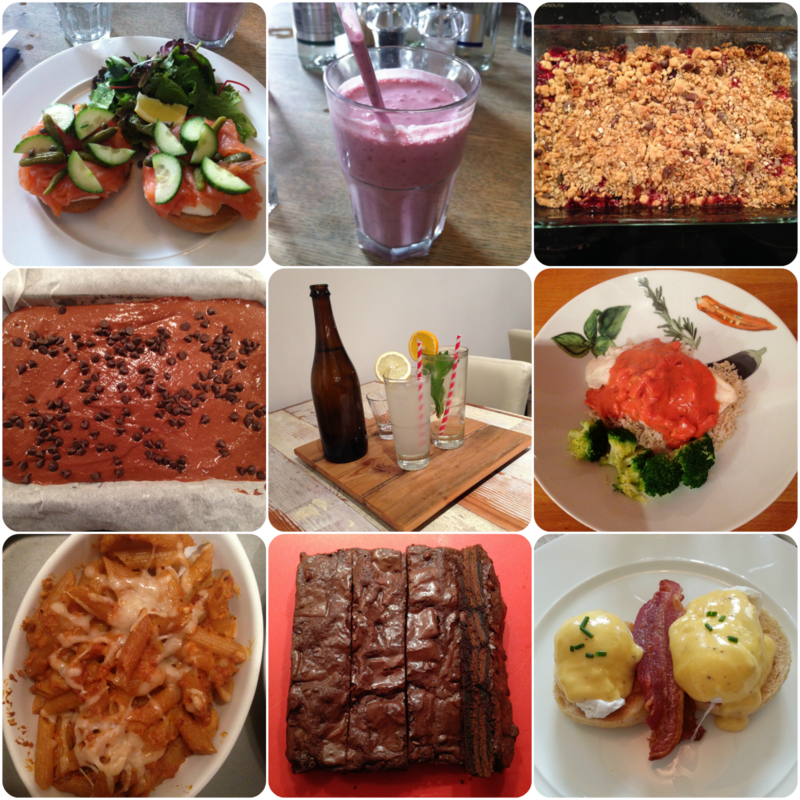 Check out my previous brownie posts, so far I’ve made: Oreo brownies, sweet potato brownies and (one of my faves the mint brownies. So of course these fantastically chocolatey Marsmallow Brownies seemed like a great recipe to attempt. As surely marshmallows (one of my favourite things) would make the perfect addition, when I think of the pairing of chocolate and marshmallow gooeyness, I can’t even form words. Just wow – talk about match made in heaven! Also don’t they just look divine? 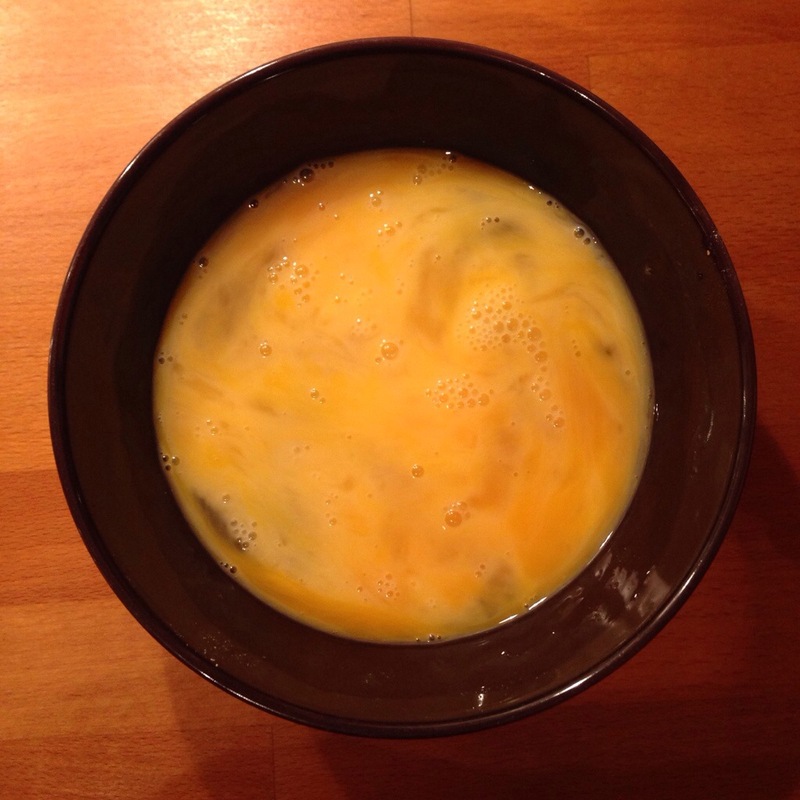 As for the ingredients, this was another plus point as I have all the required ingredients in my cupboards already – they are staples after all. So limited preparations – perfect! The recipe suggests that you make them for Halloween, which is quite ingenious, but I honestly could not handle waiting until then, I needed to make these brownies asap! So easy right? And can I just say, totally delicious, full of gooeyness and crunch as well as caramelised bites of marshmallow. Divine. I should flag that I baked these brownies for twenty minutes at the temperature specified and the top burnt whilst the middle was a tad (okay a lot) too squishy. So definitely cook these for longer and on a lower temperature if you’re not prepared to dig in with a spoon! So what do you think do you fancy giving these a whirl? And any other brownie flavours I just have to try? 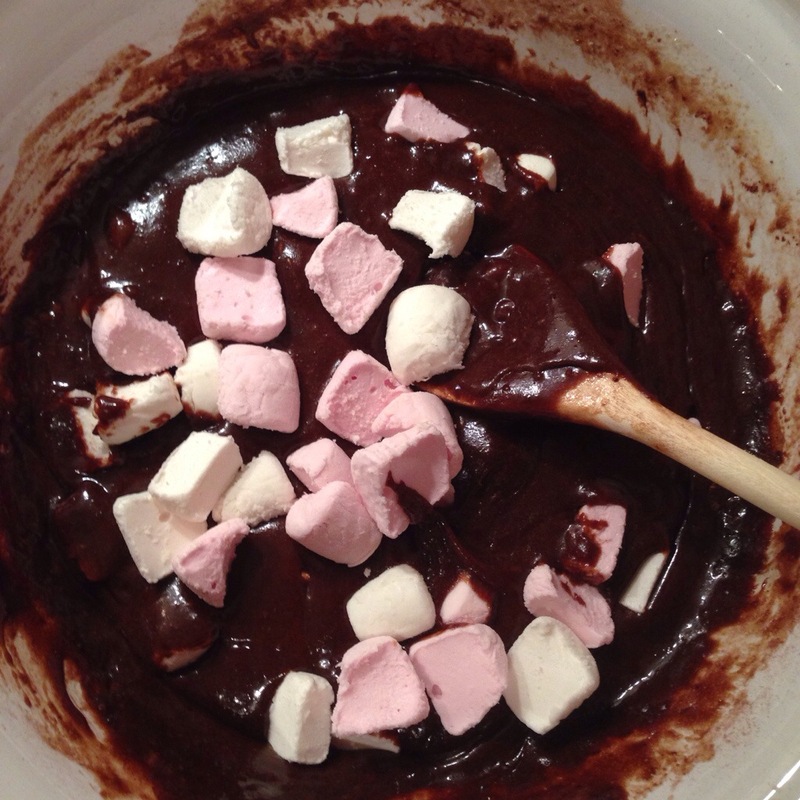 This post was adapted from Pinterest Corner #32 – Marshmallow Brownies, a post originally posted on Fi’s Daily Ponderings.